Hardide Plc (LON: HDD) CEO Philip Kirkham talks to DirectorsTalk about the raising of £3.6m. Philip explains how the proceeds will be used, why its consolidating ordinary shares and how he views the outlook for the company. The developer and provider of advanced surface coating technology, announced that it has conditionally raised approximately £3.6 million by the issue of the Placing Shares and the Subscription Shares at a price of 1.5 pence per Fundraising Share* principally to fund further expansion of the Company’s UK operations. The Company also announces that it proposes to undertake a share capital consolidation such that every 40 Ordinary Shares in issue will be consolidated into 1 New Ordinary Share. Further information on the Fundraising and Share Capital Consolidation can be found below. The Fundraising and Share Capital Consolidation are subject, amongst other things, to the applicable shareholder approvals being obtained at the Annual General Meeting of the Company to be held at the offices of finnCap Ltd at 60 New Broad Street, London EC2M 1JJ commencing at 11.30 a.m. on 4 March 2019. The Company plans to invest in a new UK facility to replace its existing site. Newly completed premises close to its existing Bicester facility have been identified, with a 15-year lease expected to be signed in March 2019 and a rent-free period agreed until the end of 2019, following which lease and business rates costs of approximately £240,000 per annum will be payable by the Company. This new leasehold building has a footprint of around 20,000ft2 (doubling the floor space available in its existing UK premises) and is located on a new industrial estate, allowing for 24/7 operations if required and providing a significant increase in productive floor area with space for further expansion. The new building also has a greater roof height which will enable larger coating reactors to be installed. Being a new building, it will also enable operational efficiencies and a much improved layout, which will help maximise output. It will also present a more professional, premium quality image to potential aerospace, power generation and other customers. Additionally, management proposes to invest in three further coating reactors of differing capacities and dimensions. The new reactors each have an approximate order lead-time of 12 months, with up-front cash deposits required. It is intended that at least one of these reactors will be the same size as the Group’s existing reactors. However, one will be larger, so as to allow the Group to apply coatings to other components too large for its current reactors. These larger components include turbine blades used in the power generation industry which has been identified by the Directors as a potential and promising growth market for the Company. The third new reactor will be used largely for R&D work in order to further develop the Group’s product range. It is intended that a reactor of the same size as those currently employed at the Group’s existing UK facility will be ordered and installed first. The reactors at the current site will then be moved sequentially so as to avoid a fall in production capacity during migration to the proposed new site. This migration is expected to be complete by September 2020. The new facility will represent a significant upgrade when compared with the existing site, which is now quite old and has an unavoidably suboptimal layout. Moreover, its size prevents the installation of additional reactors. The current building lease expires in October 2021, so an element of duplicated running costs will be incurred across both sites for a limited time. 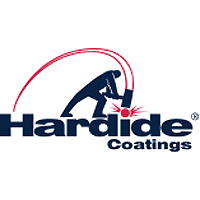 Hardide plc has reached an inflexion point in its development, achieving record sales across all geographies which in the year ended 30 September 2018 represented a 42% year-on-year increase to £4.61m. As announced in its preliminary results on 10 December 2018, the Company had cash at bank as at the year ended 30 September 2018 of £3.30 million. Oil and gas revenues grew significantly over that period, benefiting from a continued recovery in the sector, with strong sales to new and existing customers. The Board is also encouraged by the potential for growth in sales to the civil aerospace sector. Having successfully completed technical testing, detailed discussions are underway with Airbus and its tier 1 partners regarding the supply of production parts. Parts for other US and UK aerospace manufacturers are in various stages of development, including the final stages of life testing on transmission parts for Leonardo Helicopters. The Board is pleased with the Group’s performance and the positive trading outlook. The Company’s key oil and gas customers, who are experiencing a broad-based recovery in activity, are predicting that the current positive cycle will continue and that the supply-demand balance will remain favourable. This is positive news for Hardide and supports the Group’s strategy to invest ahead of revenue as it drives towards profitability. Overall demand for the Group’s services and products has increased recently due to a combination of improved business development efforts, recovery in demand from existing customers and the generation of new accounts from customers requiring more diverse coating applications. Examples of these developments include the recently announced contracts with two major companies in the oil and gas sector, increased flow control business and the further progression of component testing with Airbus and Leonardo Helicopters. The proceeds of the Fundraising are needed to support the Group’s ongoing investment programme, with a scale up required since its existing UK facility is too small to allow for further coating reactors to be installed and is currently working near to full capacity. The Board believes that projected orders from existing customers and likely new demand therefore require an expansion of the Group’s production resources. The Directors also believe that a strengthened balance sheet will allow greater confidence among those customers seeking long-term business with the Group. The proposed Fundraising will also give the Group the ability to expand its research and development work in the UK with the aim of identifying further uses and therefore new market opportunities for its current and pipeline product offering. 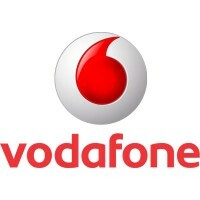 The Company has conditionally raised approximately £3.6 million through the issue of 234,200,070 Placing Shares and 5,799,997 Subscription Shares at an issue price of 1.5 pence per Ordinary Share*. The Issue Price effectively represents a 2 per cent. premium to the volume-weighted average price of an Ordinary Share during the period from 9 December 2018 to 7 February 2019 being the last business day immediately prior to this announcement. Pursuant to the placing agreement entered into between finnCap and the Company, finnCap has conditionally agreed, as agent for the Company, to use its reasonable endeavours to procure subscribers for the Placing Shares. The Placing is conditional, inter alia, upon Resolutions 7 and 8 being passed at the AGM and Admission and has not been underwritten. The Subscription is also conditional on Resolutions 7 and 8 being passed at the AGM, completion of the Placing and Admission. The Company currently has 1,698,076,596 Ordinary Shares in issue, each of which has a nominal value of 0.1 pence. The volume-weighted average price per Ordinary Share during the period from 9 December 2018 to 7 February 2019 (being the last day on which the Ordinary Shares were traded on AIM) was 1.47 pence. One consequence of having a very large number of shares in issue, with a very low market share price, is that small share trades can result in large percentage movements in share price which can result in considerable share price volatility. The Board also believes that the bid-offer spread on shares priced at low absolute levels can be disproportionate to the market share price, often to the detriment of Shareholders. As all of the Ordinary Shares are proposed to be consolidated, the proportion of issued ordinary shareholdings in the Company held by each Shareholder immediately before and immediately after the Share Capital Consolidation will, save for fractional entitlements (the treatment of which will be described in the circular to be posted to Shareholders), remain unchanged. Shareholder approval of the Share Capital Consolidation is being sought pursuant to Resolution 11. Assuming completion of the Fundraising and the Share Capital Consolidation, on Admission the Company will have a total 48,451,917 ordinary shares of 4 pence each in issue. As the current issued share capital of the Company is not divisible by 40 without leaving a fraction of a share following the Share Capital Consolidation, it is intended to conditionally issue and allot, subject to approval of the Share Capital Consolidation by Shareholders at the AGM, on the Record Date, 4 new Ordinary Shares. The issued share capital of the Company as at the Record Date will therefore be 1,698,076,600 Ordinary Shares. Canaccord Genuity Ltd, Marlborough Nano-Cap Growth Fund and Canaccord Genuity Wealth Ltd have agreed to subscribe for an aggregate 3,466,166 Placing Shares pursuant to the Placing (assuming the Share Capital Consolidation is approved at the AGM). Canaccord is a related party of the Company for the purposes of the AIM Rules by virtue of its status as a substantial Shareholder holding 10% or more of the Existing Ordinary Shares. The Directors consider, having consulted with the Company’s nominated adviser, finnCap, that the terms upon which Canaccord has participated in the Placing are fair and reasonable insofar as Shareholders are concerned.